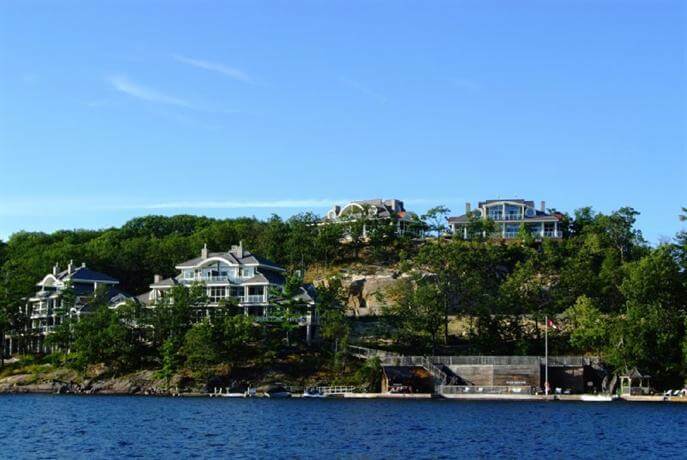 Enjoy luxury maintenance free living on the last truly spectacular expanse of Lake Muskoka shoreline, amid granite outcroppings and towering long needle pines, Touchstone rises to exceed your expectations. Select from magnificent cottages and beautifully appointed suites and villas. Untouched breathtaking views from each residence, a casually elegant dining room, a serene spa and exceptional amenities enhance your vacation home experience while relaxed Owner Services let you and your family enjoy the unique Muskoka experience while Touchstone takes care of the rest. With three styles of spacious, luxury cottages to choose from, Touchstone is so much more than you expect and all that you deserve. And for those seeking the perfect escape from the hustle and bustle of the every day, Touchstone is the answer to maintaining a balanced, healthy life – Muskoka style.